Share your personal Nubefone link on social networks or anywhere you want. Earn points with every action your referrals make. Your referrals will receive 300 points and free welcome balance. HOW DO I SHARE NUBEFONE? 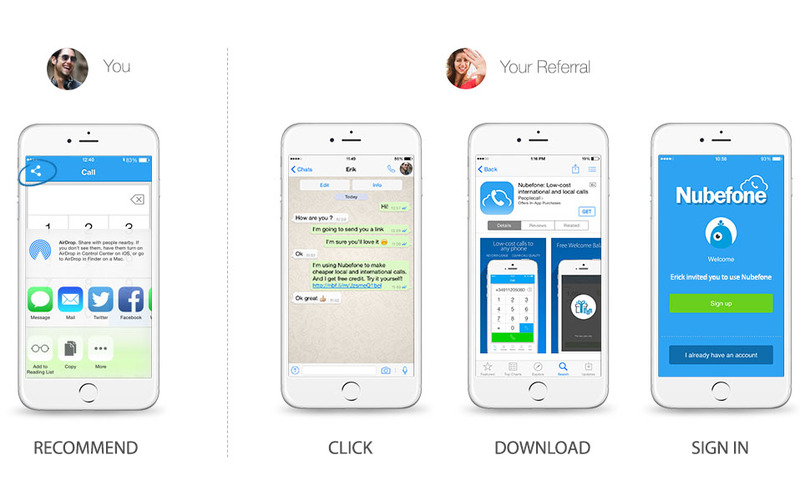 You can recommend Nubefone to all your contacts from within the app. If you wish, you can share the link on your blog or website… or anywhere and with anyone you want. Every time you accumulate 2,000 points in your account, we’ll automatically give you FREE CREDIT. In the Nubefone app, go to «More» > «Get FREE credit». 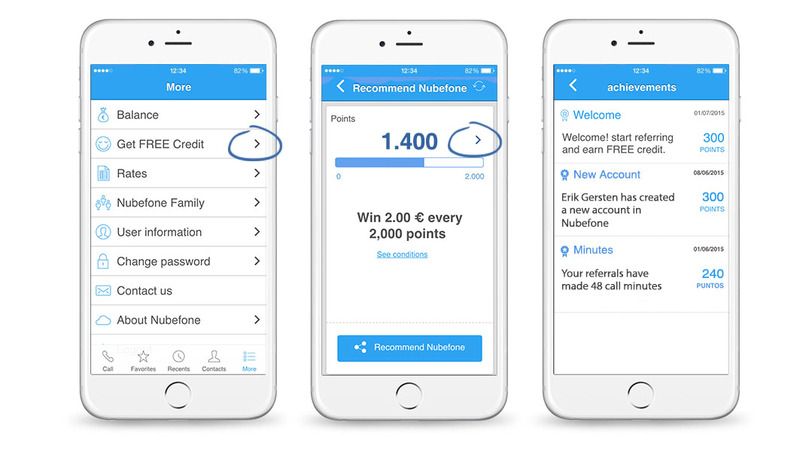 points program, you need Nubefone app v. 2.1.0 or later.